Jersey Royal new potatoes typically signify the start of Spring and are one of the most warmly anticipated seasonal produce items in the food calendar. In this recipe I've combined them with wild garlic, butter and lemon for a taste explosion of Spring flavours. Serve this vegetarian dish as a hot side or a warm salad. My paternal Grandfather Alexander Cameron was a Potato Farmer on The Black Isle. As a little girl I recall nothing better than the taste of his homegrown new tatties served with salty butter. The main varieties he grew were Duke of York, Epicure and Kerr's Pink, much of which was sold to the local chip shop. I don't know about you but when I think of new potatoes the ones that spring to mind are Jersey Royals. So how come my Granda wasn't growing them? Because he wasn't in Jersey is the simple answer! In this instance the clue is in the name and Jersey Royals can only be grown on the island of Jersey. Jersey Royals are delicious, earthy and nutty and one of the traditional foodie signals that Spring has arrived. Following a slight delay this year due to the 'beast from the east' they are in season now and available both prepacked and loose in Tesco. They will be onsale until July depending on the amount of crop available. Once they're gone they're gone! 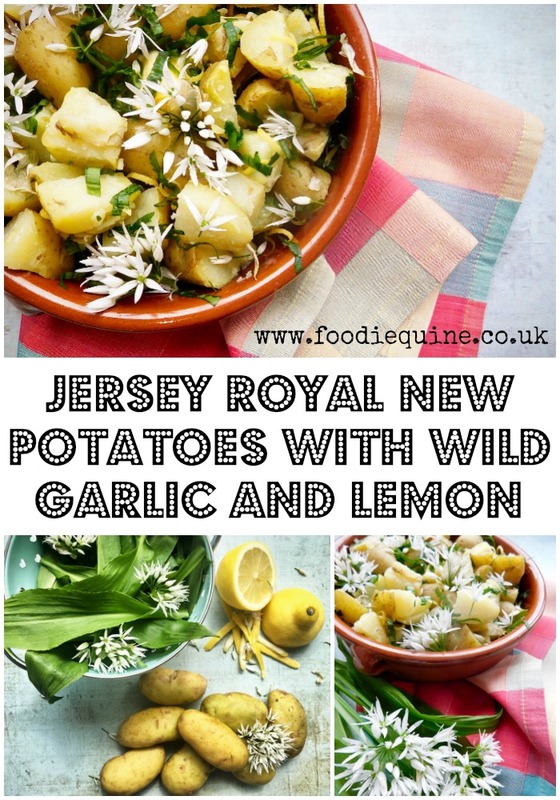 With a heritage that dates back over 140 years Jersey Royals are still produced and harvested using many traditional practices such as planting the seed potatoes by hand, fertilising using seaweed collected from Jersey beaches and harvesting from the islands steep slopes using winch and cables. The Jersey Royal new potato is the only potato that carries the EU Protected Designation of Origin mark of authenticity, like Cornish clotted cream, Yorkshire forced rhubarb or Stilton cheese. These are truly special spuds! If you wish to serve this hot you can use either butter or oil, however to serve as a warm salad it's best to use oil. If wild garlic is not available substitute chopped chives and purple chive flowers. Wash the Jersey Royal new potatoes - no need to peel - and cook them in boiling salted water for 15-20 minutes until tender. Meanwhile wash and dry the wild garlic leaves and flowers. How much you use will depend on how garlicy you want your dish to be and at what point in the season you've been foraging - early shoots are the most pungent. Roll the wild garlic leaves up tightly and cut them into thin shreds. Drain the potatoes, cut into bitesized pieces and set aside. Add the butter (or oil) to the pan along with the lemon zest, juice and shredded wild garlic leaves. Allow the butter to melt and the garlic to wilt. Return the potatoes to the pan, mix well to combine and season with black pepper. Tip into a serving bowl and top with individually segmented wild garlic flowers plus a couple of whole flower heads. 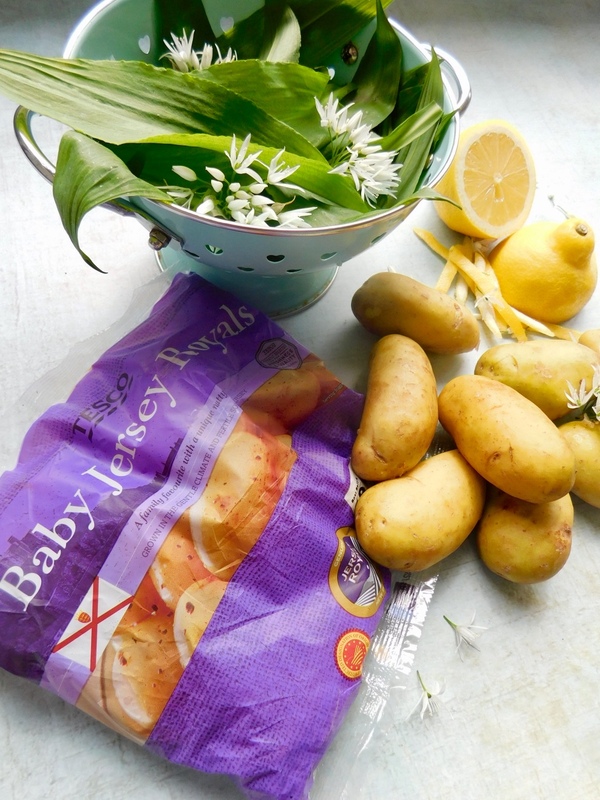 Jersey Royals with Wild Garlic and Lemon can now be served immediately or left to cool slightly and served as a warm salad. Disclosure: This is a commissioned post for Tesco. As always, all views expressed are my own. 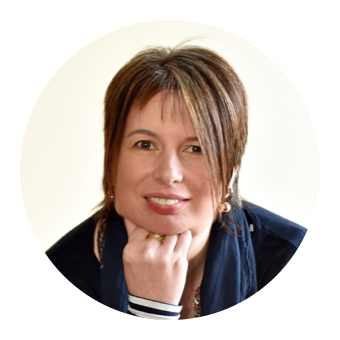 Thank you for supporting the brands who make it possible for me as a passionate Scottish Food Blogger to continue to share my Edible Food and Travel Adventures with you. I’m super choosy who I work with and promise to bring you only the cream of the crop. We have woods near us that is overrun with wild garlic. I've not done anything with it so far this year, but it is good and these tatties look great. Such a wonderful vegetarian twist with potatoes, lemon and garlic. I believe I will have to grab my pack of Jersey royals pretty soon. Thanks for sharing.